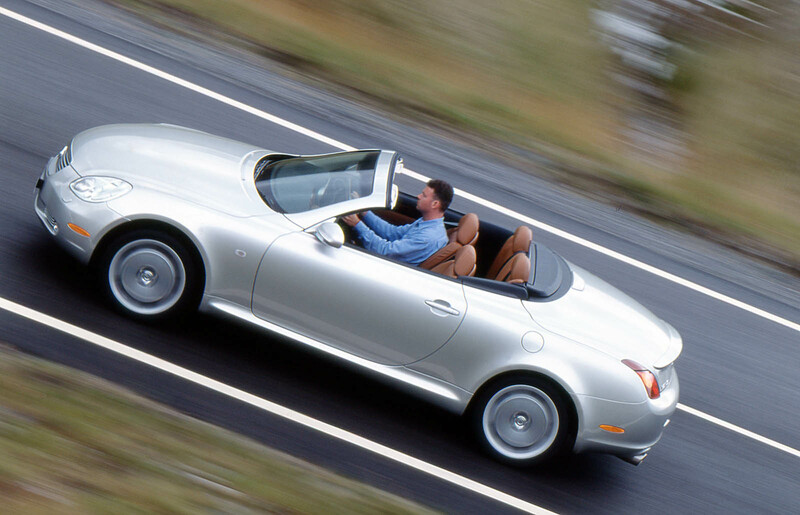 Marmite comes in many forms, including this, the Lexus SC430 of 2001 to 2009. To most folk, it’s an ugly thing strangled at birth by clumsy handling and a lumpy ride, made brittle by run-flat tyres. Changes to the suspension in 2002 and 2004 improved things but mud sticks and it stuck especially well to this wannabe alternative to the Mercedes-Benz SL. 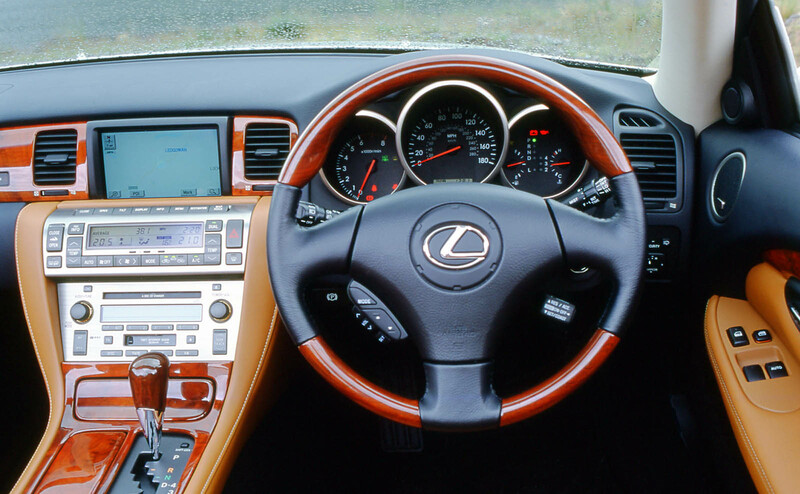 The 2+2 cabin is a gadget-lover’s paradise and, this being a Lexus, you won’t have to worry about any of it not working. The climate control system can sense whether the roof is open or closed, as well as the speed the car is travelling at and the ambient temperature, and automatically direct chilled or warm air as necessary. There’s a knockout Mark Levinson sound system, powered and heated seats, electrically adjustable steering column and a touchscreen sat-nav. Obviously, the touchscreen system is seriously dated but cartronics.co.uk can swap in a state-of-the-art one that’ll talk to the Mark Levinson music centre for £2200. Pay a little more and they’ll wire in a reversing camera. It all fits snugly into the original space. The cabin is trimmed in leather and those door and fascia cappings are real wood, shaped and lacquered with the help of musical instrument makers Yamaha. Everything is finished and screwed together beautifully, qualities that serve today’s used SCs very well. Prices start at around £3000 for a 2002 car with 110,000 miles. If it’s a late 2002 model, there’s a chance it has the tweaked suspension that brought improvements to the ride, handling and refinement. Still not satisfied, Lexus added new dampers and tuned the chassis in late 2004. The result was a more absorbent ride, allied to sharper handling. These mid-life cars start at around £7500. In 2005, the SC was mildly facelifted with revised bumpers and redesigned 18in alloy wheels. 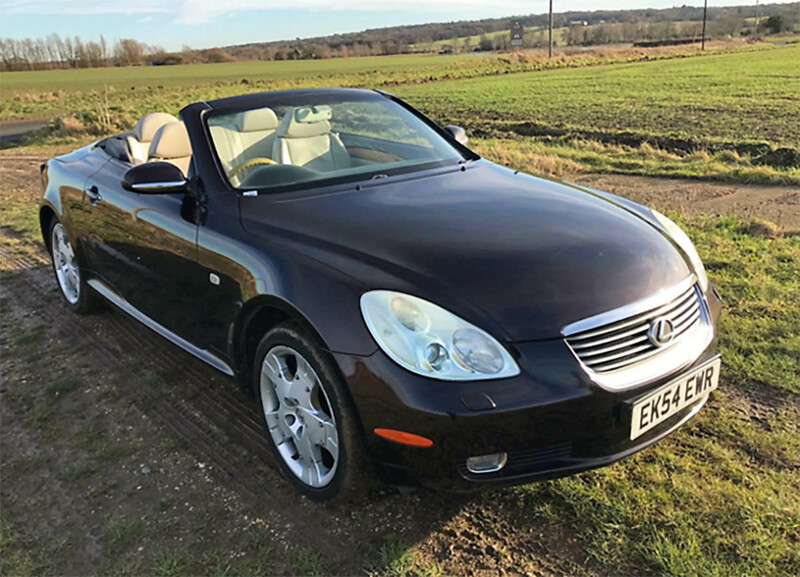 SC owners are loyal and fastidious so you’ll find a lot of cherished cars with just one or two former keepers, full Lexus histories and reasonably low mileages. Even the youngest cars are now nine years old, so expect some wear-and-tear-related issues. However, the first are as old as 17. On these, check for underbody rust, clonky suspension, evidence of timing belt and water pump replacement, healthy fluid levels and a smooth gearbox. 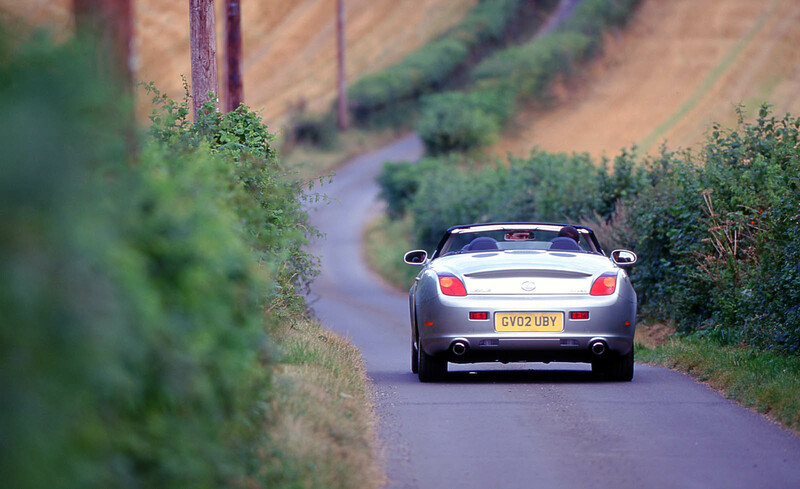 At all ages, oxygen sensors and the tyre pressure monitoring system are weak points. Still want one? Good – Marmite’s quite nice, once you get used to it. ENGINE - Some head gasket failures have been recorded due to very low coolant levels. Check the condition of the lower radiator, which can leak into the gearbox oil cooler. Likewise, fluid from the gearbox can leak into the coolant. The oxygen sensor in the exhaust system can fail. Check the starter motor works okay since it’s located inconveniently beneath the inlet manifold, which has to be removed to replace it. The vapour canister is there, too, and these can fail, expensively. Timing belt change is every 100,000 miles. Water pump should be changed at the same time since it’s a weak spot, as is the centre belt tensioner. GEARBOX - It should be very smooth. If juddery, suspect coolant contamination. Transmission fluid should be changed every 45,000 miles. WHEELS, BRAKES AND SUSPENSION - Check for worn top suspension arms at the rear and worn front wheel bearings. If the ride on early cars is rough, suspect the front control arm bushes. Listen for clunks from here too. Steel parts in the aluminium suspension can rot. Check the brake pipes’ condition. Ensure the tyre pressure monitoring system works. Some owners disable it as the valves fail but it’s an MOT issue. Steering wheel noise when turning could be the spiral cable (an expensive repair). BODY - Check for underbody corrosion, especially at the rear around the back axle and subframe. FOLDING HARD-TOP - Position sensors can fail with lack of use. Check for leaks caused by perished seals and for roof corrosion. INTERIOR - Ensure the music system is fault-free: subwoofer and door speakers can fail. 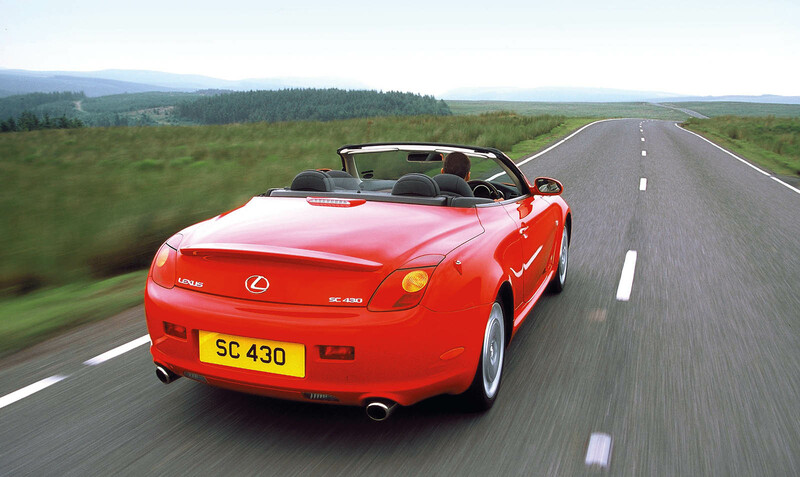 Amazingly, you can still buy an approved used SC430 from Lexus. At time of writing, there were seven, ranging from £10,990 to £16,995. £2750-£3500 - A cluster of high-mileage (120k) 2002- reg cars with partial service histories. £4995-£6995 - Mix of 2002-2003 cars with 100k miles in good condition, most with full service histories and few previous owners. £7000-£8995 - Mainly 2004-2005 cars with around 75k miles. £9000-£10,995 Mostly 2005-2007 cars, circa 70k miles. £11,000-£13,995 - More 2007 cars with around 50k miles. £14,000-£16,995 The best late-plate cars. This SC has full Lexus service history, including recent timing belt replacement. It’s a mid-2004 model with the revised suspension set-up designed to cure the model’s questionable ride and handling. Autocar judged the changes to be successful. I like the way the sentence referring to the SC430 being the car to buy if you don't want sleepless nights worrying about bills is followed by a full page of all the worryiingly expensive things that could go wrong.
. Autocar always do that with these “little gems”, they tell you how wonderful they are, then they give you a long long list of what to check for when buying,and an even longer list of what could go wrong, most of us want a turn key Car with a long warranty, someth8ng we don’t have to lift the bonnet for unless it’s filling the screen wash reservoir! Certainly better to know about the multitude of potential problems, before you consider buying one. Can’t think why anyone would spend £2200 to install a whole new screen etc., defeats the purpose. I have a bangernomics 2005 LS430. The sat nav had the original DVD which didn’t even have my road on it. The last compatible DVD is a 2015, the dealership wanted $169, I got one from Ebay for $10 inc. shipping. It has a built in phone but no bluetooth. I had a bluetooth thingy installed for $250 all in which can play through whichever mode you choose at the time of the installation; AM mode is best as it’s least used. That’s all the updating you need. And, gosh, you can still play cassettes if you want! Brilliant. Love cars like these - near the bottom of my desirability list when new, but now rapidly climbing as it becomes cheaper. Still looks odd, although the wheels are very cool. Loved these when they first came out and still do. There's a family at the end of our road who have one in their garage as a 'modern classic' for Summer use. It still turns my head. Superbly engineered. Fabulous V8 engine. Luxurious, imposing, stylish 2+2 coupe. An outstanding second hand purchase. It is in its own niche. 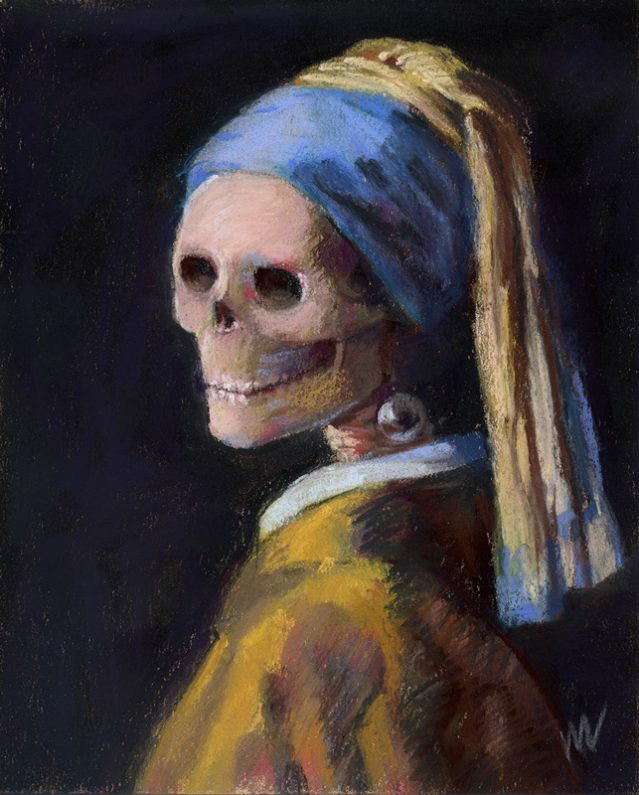 Fast becoming a very collectable 'modern classic'.